Hello Friends! Have you ever found the perfect little dessert that pleases the most discerning guests? Well today I want to share with you my lemon blueberry cakes. These little cakes are the perfect ending to a ladies luncheon or an evening with friends. They are super easy to make, look impressive, and taste delicious. 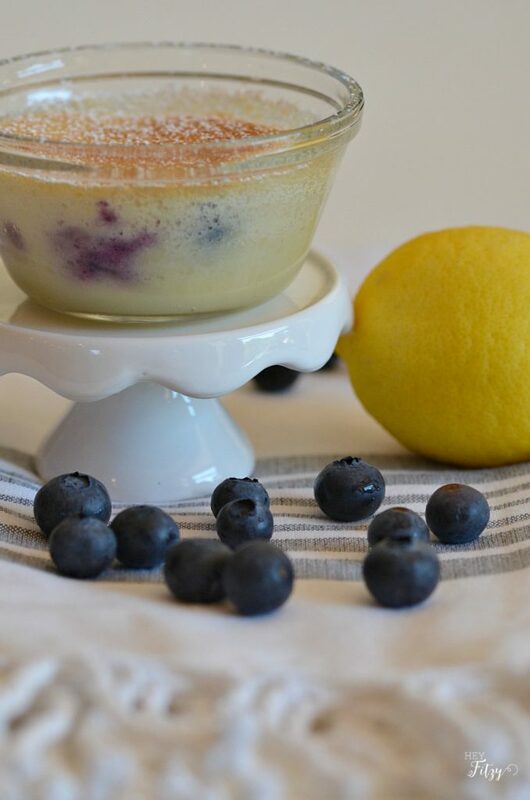 The combination of lemon and blueberry perfectly compliments any meal and/or after dinner drink. Plus aren’t they darling! 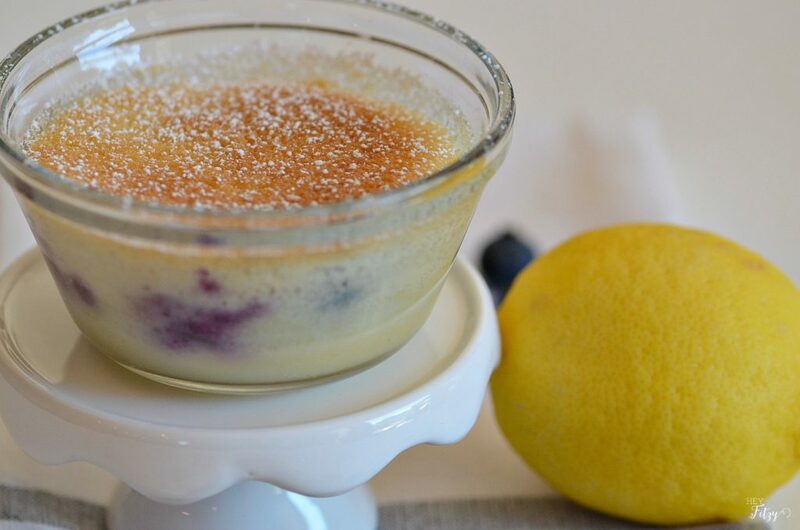 I like to make the lemon blueberry cakes in individual serving size dessert cups. There is something so fun and even a little special about making an individual serving for each guest. Only one down side to this approach…when everyone wants seconds. Be prepared to make a few extra because I promise you someone will want another one. Mix egg yolks, lemon zest, lemon juice, butter, and sugar. Place four 6-oz ovenproof dessert cups in an 8-inch baking pan with tall sides. 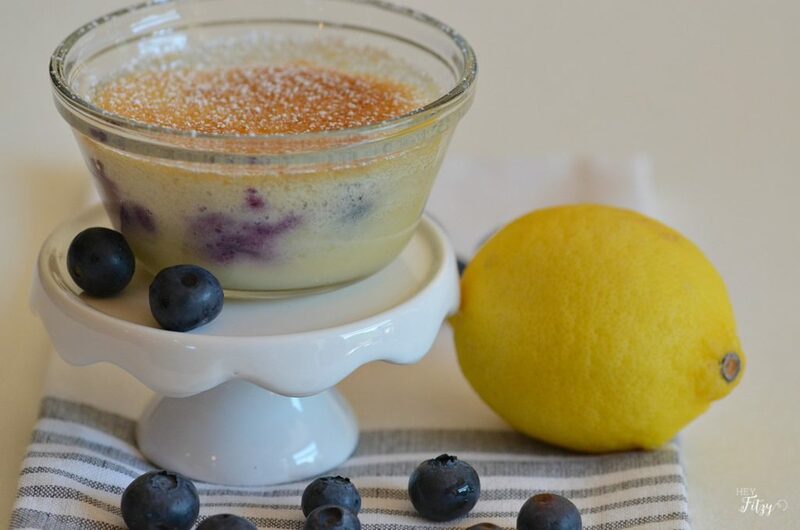 Place a few blueberries in the bottom of each dessert cup. Pour batter evenly into the dessert cups. Pour bowling water into the baking pan until water is halfway up the sides of the dessert cups. Bake for 40 minutes or until tops of cakes are slightly brown. We have several dear friends that eat a gluten free diet. Over the years I have made these sweet little lemon blueberry cakes using gluten free flour. Honestly…you can’t even tell a difference and everyone gobbles them up just the same. While they are delicious served warm, I like to make them ahead of time to eliminate some of the stress of baking while guests are arriving. You can easily make them the day before, cover them, and store in the refrigerator. Remove from refrigerator, sprinkle with powered sugar, and serve. If you prefer to serve them warm, simply place in oven on low temperature for about 10 minutes or warm in microwave for a few seconds. I am not sure if I could decide which way I prefer best…they are just as yummy cold as they are served warm. What is your favorite go-to dessert when guests are coming? This is probably my hands down favorite! These sweet little lemon blueberry cakes are easy to make, look amazing, and taste even better. Thank you my friend! Honestly...we haven't found a single person that doesn't adore these little cakes. Something about the magical combination of blueberry and lemon makes these light little cakes delightful! Hi Tammy, thank you for sharing this lovely recipe! Cannot wait to make it. Can you please confirm if it needs 3/4 Tablespoon or 3/4 cup of sugar, please? This is not clear from the recipe. Great pictures too! I love individual servings of things. Makes it more fun to eat! Pinning. May be a good idea for Easter. Visiting from Funtastic Friday party. Hi Victoria, Thank you for stopping by. I agree these lemon blueberry cakes would be perfect for Easter! They are always a big hit!